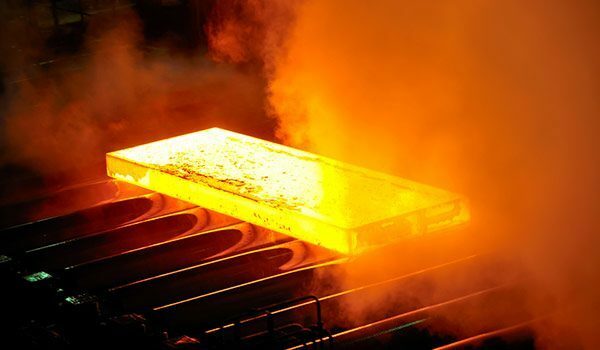 At A&A Coatings, our engineers and spraying specialists have decades of experience in servicing businesses in the metal production and processing industry. The specialized coatings applied by us on metals can easily facilitate resistance to corrosion and wear. Our thermal spray services are instrumental in improving the quality of the end products by building wear and corrosion resistance in metals that are exposed to oxygen, moisture and high temperature. Zinc bath rolls are used for deflecting and transporting steel strips through heat treatment furnaces. The base material is steel, which is why enhanced wear resistance and high-temperature resistance are two highly desirable surface properties, not to mention well-defined surface roughness. At A&A Coatings, we often use the HVOF process for making zinc bath rolls process-ready. Hearth rolls serve the same purpose as zinc bath rolls do. These components also need superior protection and resistance against high temperature. We also recommend using HVOF coatings to prepare hearth bath rolls. Aside from the specialized services described above, we also provide turnkey thermal spraying solutions for dedicated automation systems, multi-void and ERW tubes. Choosing the most appropriate spraying technique and the right set of technologies is paramount for enhancing wear or temperature resistance in equipment components used in the metal production and processing industry. Thanks to our large material inventory and our research and development wing, we have been able to meet the precise needs of many metal manufacturing and processing businesses throughout the last 7 decades. With competitive pricing, quick turnaround time, and our highly knowledgeable staff, A&A Coatings is an industry leader that can support your business in the metal production & processing industry. Give us a call today and find out more on how our specialty coatings can benefit your business!